We are so excited about this incredible collaborative workshop! 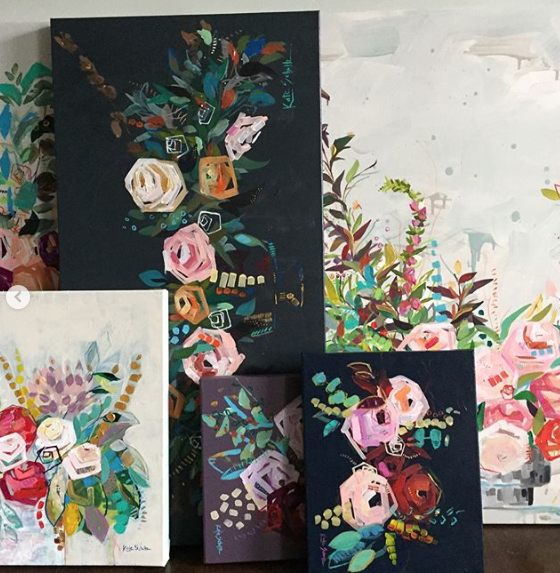 Painter Kate Schultz and farmer-florist Niki Irving are teaming up to provide you with a full day of creativity at Flourish Flower Farm. If you are craving more beauty and creativity in your life, this is for you! If you’ve never painted or designed flowers before, there is no need to be intimated because these two women can’t wait to teach, encourage and connect with you. Niki is the flower farmer and florist behind Flourish Flower Farm. She grows acres of specialty cut flowers, designs for numerous weddings and events across Western North Carolina and she hosts workshops and private classes on the farm. Niki is passionate about creating beauty, about experiencing the wonders of nature and about sharing her love of flowers with you. 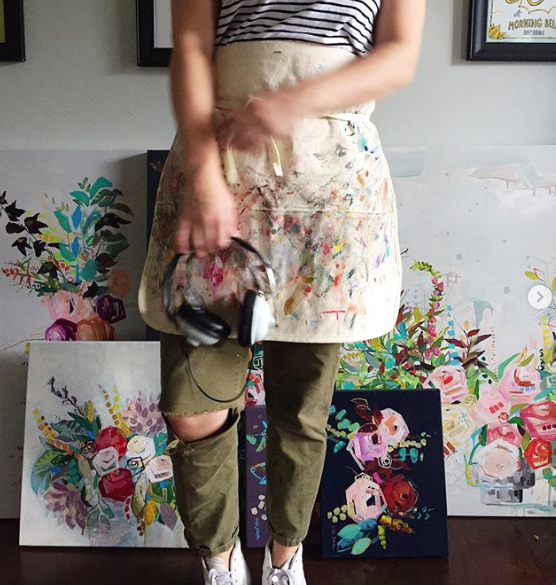 Kate is an abstract painter from Mississippi and has a Bachelor of Fine Arts from the University of Mississippi with an emphasis in Painting. Inspired by all shapes, colors, people and things, Kate has always been a lover of art. Currently Kate lives in Jackson, MS with her husband, an illustrator and board game artist, and their two cats (though they all dream of moving to Asheville!). 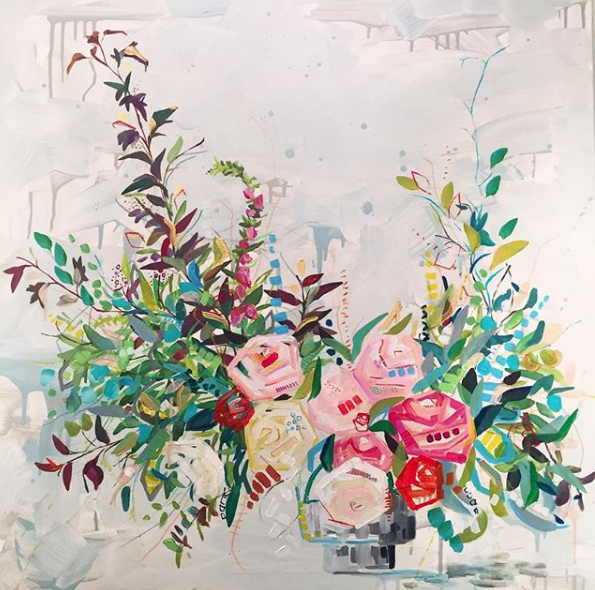 Kate has been painting florals since 2015 and loves the way flowers are always different in color, texture and style. She focuses on colors complimenting one another and strives to portray a balance between them and movement, that makes the paintings vibrate in the most perfect way. We'll begin our time together with a tour of the flower fields and lesson on how to harvest. As you stroll amongst the beauty, notice what blooms, colors and textures inspire you and pick your own flowers to design with. 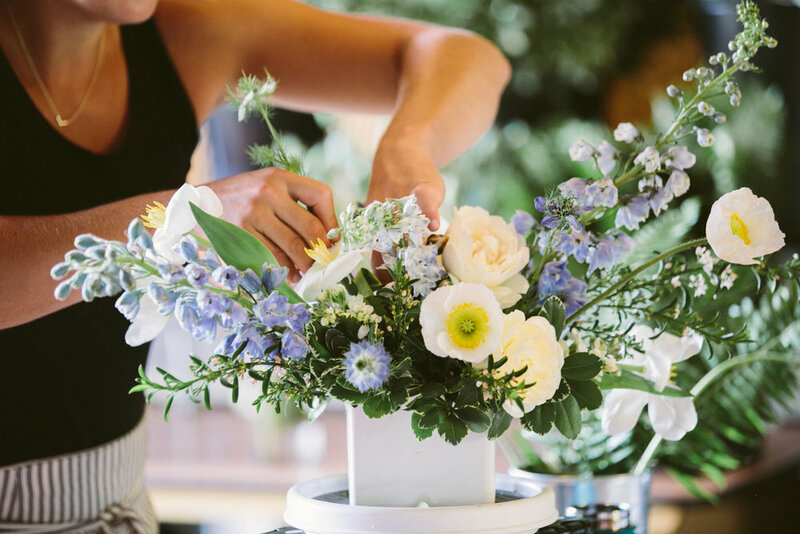 After the tour of the fields, Niki will demonstrate how to arrange a lush centerpiece while talking you through her basic design philosophy and principles. Then, its time to create your own centerpiece. After a break for lunch, Kate will demonstrate how to paint your flowers and take you through her creative process. She will provide support and guidance as you create your own painting inspired by your centerpiece. You will receive one-on-one support and guidance throughout the entire day and have a huge assortment of flowers to choose from! We intentionally limit attendance to just 12 participants so that the entire experience is personal and intimate. 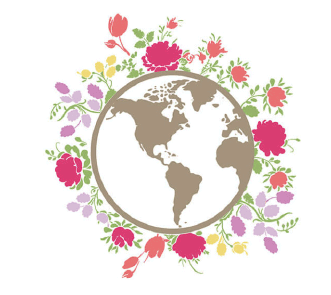 Our goal is for you to express your creativity with flowers, learn new creative skills and meet other flower-lovers. No prior floral design or painting experience necessary! We provide delicious lunch from Verbena Catering + tasty desserts from Butter & Blooms made with seasonal, locally grown ingredients. Beautiful, organic farm-grown flowers (so many flowers! ), a keepsake vase, canvas, paint set, brushes and all other tools and supplies are provided. All purchases are final. We must have a minimum of 6 attendees per date to run the event. Workshop is held rain or shine.